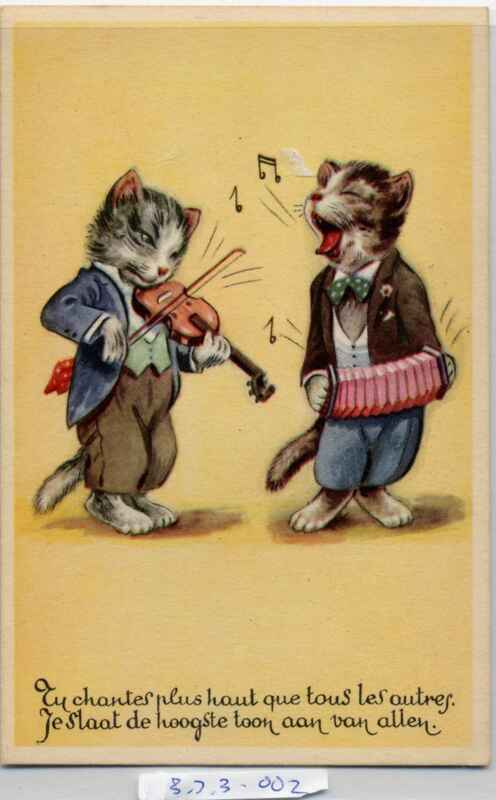 Full Description: A Belgian colour post card, the matt print of two cats, one on a fiddle, one ‘singing’ with a concertina. Motto in French and in Flemish. Divided rear, “Printed in Belgium”.